Sponsored by McDonald’s Owner/Operator Steve Krawchuk, the Boundary Bay Marathon offers runners a beautiful oceanside course and the chance to support kids and families at Ronald McDonald House. Find out more about the race, which takes place on November 4 to help keep families close. 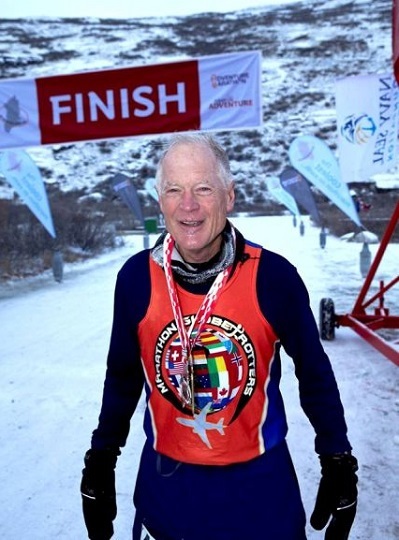 At 68 years old, marathon runner Rich Holmes is on a record-breaking streak. He has run a marathon in all 50 states seven times, has run at least one marathon in 115 different countries, and is nearing his fifth completion of the Canadian provinces and territories. On November 4 at Boundary Bay, he hopes to complete 704 marathons and break a Guinness World Record. As part of his record-breaking race, he is joining other Boundary Bay runners in raising funds for Ronald McDonald House BC and Yukon. He pledged to raise $6,500 and is fast approaching this fundraising goal as well as his running goal. When talking about his impressive record, Rich is humble. He started running 40 years ago while in officer candidate school in the US military. “I was the worst athlete in basic training,” he remembers, and after failing an important test he decided to take on his greatest weakness. Later that year he and his wife both ran their first marathon and running has been a way of life ever since. To keep going, he believes in always having a goal in mind, whether you are young or old, working toward your first marathon or your first 5K. For Rich, his upcoming record-breaking run is just one of the goals he hopes to accomplish by February, when knee surgery will make his running future uncertain.